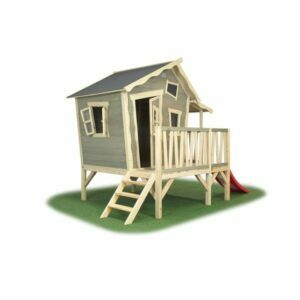 The EXIT Crooky 350 wooden playhouse in grey-beige is a cool ‘log cabin’ where children can spend hours of fun. This wooden playhouse stands on legs, has a veranda and thanks to he prefab panels let you assemble the playhouse in no time. 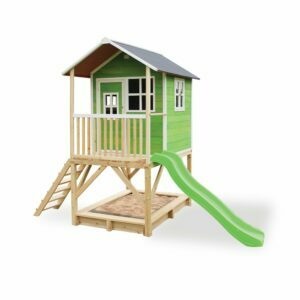 The EXIT Crooky 350 wooden playhouse with a slide has a natural look and a playful design, including slanted windows, a slanted roof and a slanted door. 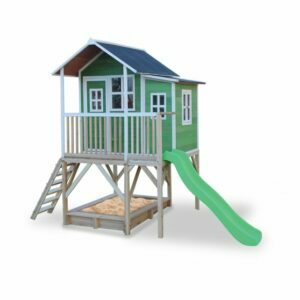 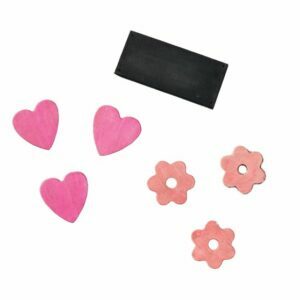 There are various accessories available for the EXIT Crooky 350 wooden playhouse, such as a nice picnic set with stools, a safari chalkboard set or a lovely pink decoration kit. 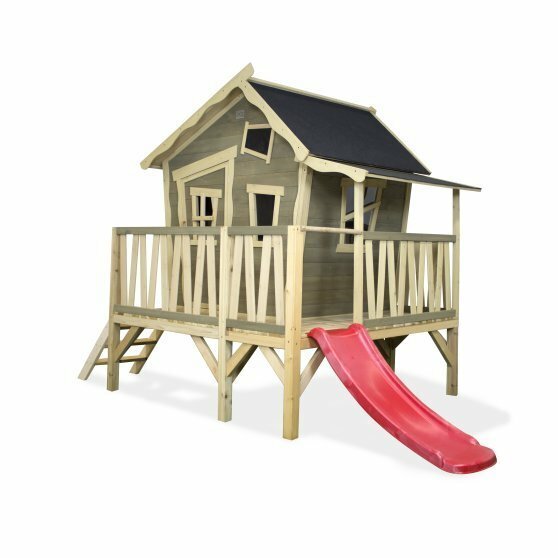 Design your play corner just the way you want and have the greatest adventures outdoors!